Over 120 system and application replacement icons. Is there a better alternative to Amora System Icons? Is Amora System Icons really the best app in Icons category? 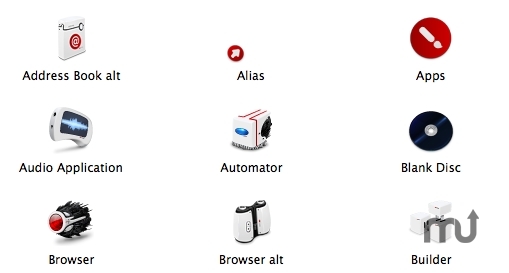 Will Amora System Icons work good on macOS 10.13.4? Amora System Icons is a highly detailed and imaginative set of over 120 system and application replacements that conjures images of the future both wondrous and disturbing. David Lanham has been fine tuning this set for months and the results show in the attention to detail as well as its crisp desktop appearance. Amora works wonders with CandyBar, the IconfactoryÕs system icon customization application, but can be used manually as well. Amora System Icons needs a rating. Be the first to rate this app and get the discussion started!